Made to last long hours, the Diana Matic Lipstick takes you from meetings to after work outings with utmost ease. This lipstick gives you a smooth, semi-matte finish, making you lips luscious. 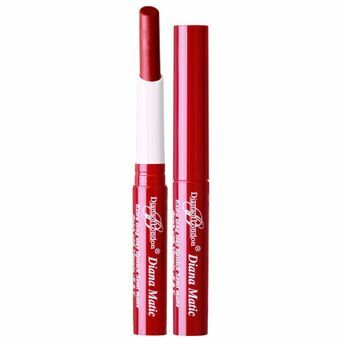 It contains a blend of moisturizer and vitamin E that soothes your lips and keeps them plum and hydrated! Gives a smooth and soft finish. Contains a blend of moisturzier and vitamin E.
Available in matte finish and metallic effects. Explore the entire range of Lipstick available on Nykaa. Shop more Diana Of London products here.You can browse through the complete world of Diana Of London Lipstick .Alternatively, you can also find many more products from the Diana Of London Matic Lipstick range.